Decades of expertise – distilled. ManTech supports a wide range of programs that enable clinical intelligence, quality patient- and family-centric care, chronic-disease management, and comparative effectiveness research. Our technology solutions empower providers, payers and researchers with better, richer, and timely data, care coordination solutions, and systems management capabilities—all built on interoperable platforms to new national standards. For interoperability, system modernization, medical logistics, and data analytics solutions, our team provides a powerful ally in the transformation of health information technology (IT). Today’s constantly evolving IT landscape requires a flexible approach to systems engineering and the ability to build custom solutions. ManTech’s experts go beyond implementation to continue to manage all aspects of the IT infrastructure as needs change. ManTech develops and deploys solutions that enable our customers to modernize their IT systems – from optimization to transition to cloud computing. 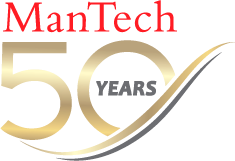 ManTech is a leader in environmental sustainability, including regulatory compliance and policy development. In an increasingly interconnected world with growing demands for limited resources, we provide trusted solutions that meet today’s most pressing challenges while securing the future. Our multidisciplinary staff of planners, scientists, analysts, and managers brings the education, experience, and expertise needed to develop and execute comprehensive sustainability strategies and environmental compliance programs that support government and industry.